Huangshan (黄山, also called the Yellow Mountain) is located in Anhui province, about 650 kilometers from Shanghai. It’s connected with Shanghai by bullet train and flight. It is a national park listed as a World Natural and Cultural Heritage Site (UESCO). 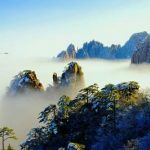 This 3 day Huangshan tour from Shanghai will take you to enjoy the highlights of Huangshan mountain, you will stay overnight on the mountain top to enjoy amazing sunrise and sunset. A visit to in Hongcun Ancient Village will give you some ideas about local Hui-style architecture and local life. Take morning fast train from Shanghai Hongqiao Railway Station to Huangshan city (about 2.5-3 hours ride). Arrive in Huangshan and transfer to your hotel. Then visit the Tunxi Ancient Street（屯溪老街）, which was built in Ming and Qing Dynasties. The colorful bazaars of local features are displayed in front of your eyes. You will find antique shops, medicine shops, tea houses, restaurants and galleries in the street. This morning, depart your hotel to visit Ancient Village Hongcun (宏村), which has been listed in the World Cultural Heritages by UNESCO. The peaceful environment and beautiful surroundings there present outsiders a piece of pleasing and tranquil picture of a typical country life in South China. Then head to the Huangshan scenic area(黄山风景区). After about 1 hour drive you will arrive at the foot of the mountain, where you take Yungu cable car （云谷缆车） to the top of Huangshan Mountain. Along the uphill way, you will see the Beginning-to-Believe Peak (始信峰）, The Lion Peak(狮子峰), Brush Pen Peak(笔架峰), A Monkey Gaping at the sea (猴子观海) and other attractions, enjoy the fantastic sunset on Cloud Dispelling Pavilion (排云亭观日落). Upon reaching the top, you are greeted with a breathtaking view of Huangshan Mountain. This is when you truly discover why it is known as the “‘the loveliest mountain of China.” Stay overnight on the mountain top hotel. Get up in early morning to catch the breath-taking Huanshan sunrise (黄山日出) on top of the mountain, and then have your breakfast in hotel. See Flying-over Rock(飞来石), Bright Summit(光明顶) then take the cable car down the mountain. Drive to Huangshan North Railway Station to take afternoon bullet train (about 2.5-3 hours ride) back to Shanghai. Remark: The prices above are based on twin-share basis. If you need a single room, please pay single supplement. 1. This Huangshan trip from shanghai is flexible. You can extend or shorten it to suit your schedule. You can also remove the hotel or choose different hotels. Please inform your travel advisor about your preference. 2. The Yellow Mountain is suitable to visit all year round. Just avoid all holidays in China such as May Day Holiday (May 1 to May 3) and National Holiday (October 1 to October 7). 6. Meals as specified in the itinerary (B= Breakfast, L=Lunch, D=Dinner). 2. Tips for guides and driver. We will book round way train tickets online and send you the confirmation document. You take you passports to collect the round way train tickets at the ticket window of Shanghai Hongqiao Railway Station (上海虹桥火车站). Please arrive at the railway station 1 hour before train departure time to make sure you have enough time to collect tickets. 1. Advise to take Shanghai to Yellow Mountain train as the train is hardly affected by weather compared with flight. 2. We will deposit your big luggage in hotel of Huangshan City, just take some necessities and valuables with you. 3. The hotel on mountain top does not provide toothpaste and toothbrush, please bring your owns. 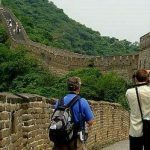 Is it possible to do this trip with train travel between Shanghai and Huangshan? Yes, you can do this tour with round way trains, I have sent you details of 3 days Huangshan tour by trains, please check it and let me know if you have any question. 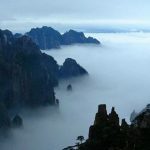 How much is the 3 day trip and is it also possible to do just a two day trip to Mt hangshan from shanghai? Hi, can u quote me the price for 2 paxs for the 3 days trip to Huangshan. Traveling date: 1st of Jan, 2017.